Simanye Cengimbo in Grade 2S joined a Karate group this year and has done exceptionally well. His behaviour at school has also improved dramatically. He has been selected with 5 other children to compete next weekend in the S.A. championships in P.E. 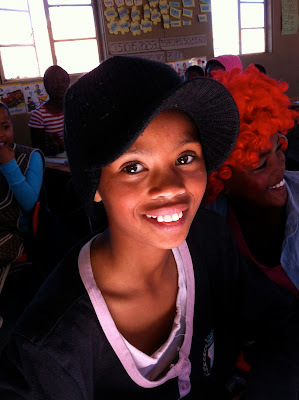 He needed to raise a large amount of money and all the children in the school got busy with little projects to help him. Grade 5 children suggested a non-uniform day with a theme of "Anything Funny". 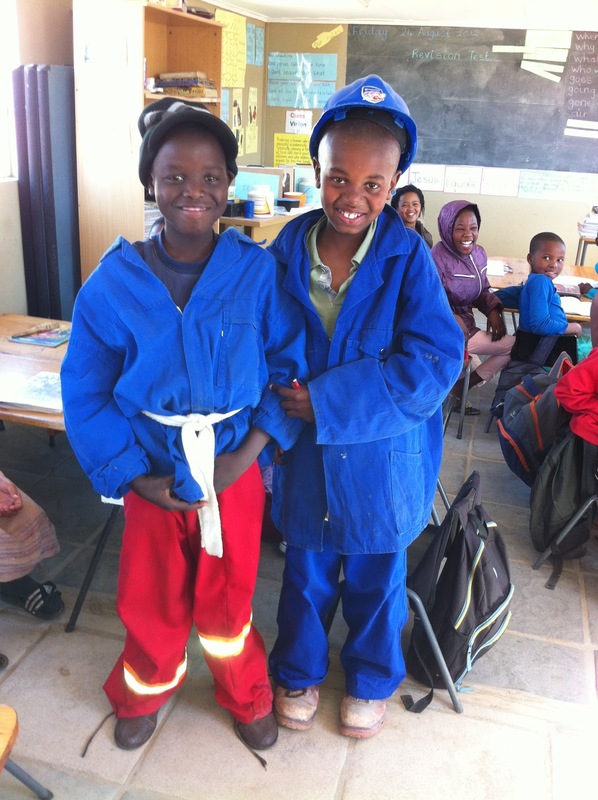 Children paid R5 for the privelege of wearing their own clothes! Together with the other projects - selling cakes; raffling a special cake and collecting small change, the school raised R1225.50. I am so proud of their efforts and their determination to support a fellow student. Here are some of the photos! Anelang and Esethu in their gumboot attire!